Leaders of today work in complex and demanding environments. They must contend with a myriad of conflicting issues, interests, challenges and opportunities while managing social, economic, political and environmental pressures. In order to succeed in these environments, leaders need to be excellent communicators – with internal and external stakeholders. With 30 years experience in public relations, marketing and professional communication, including 16 years in communications management, Ros Weadman specialises in empowering people and organisations to fulfil their leadership potential through strategic positioning and masterful communication. When you communicate masterfully, you influence behaviour, action and outcomes. Ros helps individuals to become more persuasive communicators and more influential leaders. She also works with teams, departments and whole organisations to align individual mindsets, messages and behaviours with organisational vision, values and strategic directions. Thought Dynamics Consultant, Public Relations Institute of Australia Fellow, International Coach Guild Associate Member. Master of Arts (Professional Communication), Graduate Diploma in Business Management, Diploma in Education (Secondary Teaching), Bachelor of Arts (Psychology and Sociology majors), Completing a Credentialled Master Practitioner of Coaching, Extended DISC Accredited Trainer and Consultant, Meta Dynamics I (including NLP) and II practitioner, Meta Dynamics II Profiler, Meta Dynamics III Facilitator. from Ang Li, Managing Director, Grandaflora Landscapes. Ros’s coaching sessions can be the best time business owners like myself should spare from the busy daily tasks. During the sessions, Ros was able to simplify and reveal my challenges with system and structure viewpoints. Her communication skills are excellent. More than often I came up with ideas and solutions myself with her carefully-guided questions. Most definitely recommended to whom communication, strategy and system matter. Ros established Melbourne Public Relations & Marketing Group (MP&MG) in 2011 after more than 25 years in a variety of marketing, public relations and communications consultancy positions. 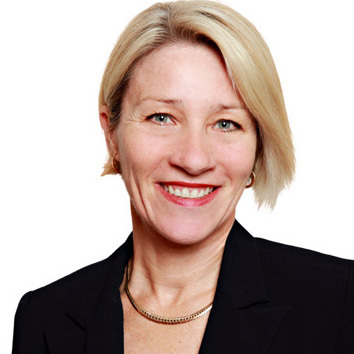 Ros is a skilled business strategist, coach and trainer with a diverse client base that includes state government, local government, construction, landscaping, wholesaling, finance, property investment, hospitality, coaching and not-for-profit sectors. The Thought Dynamics methodology is at the heart of MPR&MG’s strategic services and skills development programs. By focusing on the four areas of success - environment, structure, implementation and people - Ros helps individuals and organisations position themselves as leaders in their field, build strong relationships with customers and influence stakeholders. Whether your goal is to improve the communication skills of your leaders, implement organisation-wide change, or connect more effectively with your customers and stakeholders, Ros will design a program tailored to your needs. from Julie Conroy, Director, Enzed Geelong. I would like to thank Ros Weadman for the seminar on “The Five Principles of Success in Business” last night. It was concise, informative. inspiring and motivating. I can highly recommend Ros to anyone requiring the coaching, training or consulting services of this guru of public relations, marketing and professional communication.